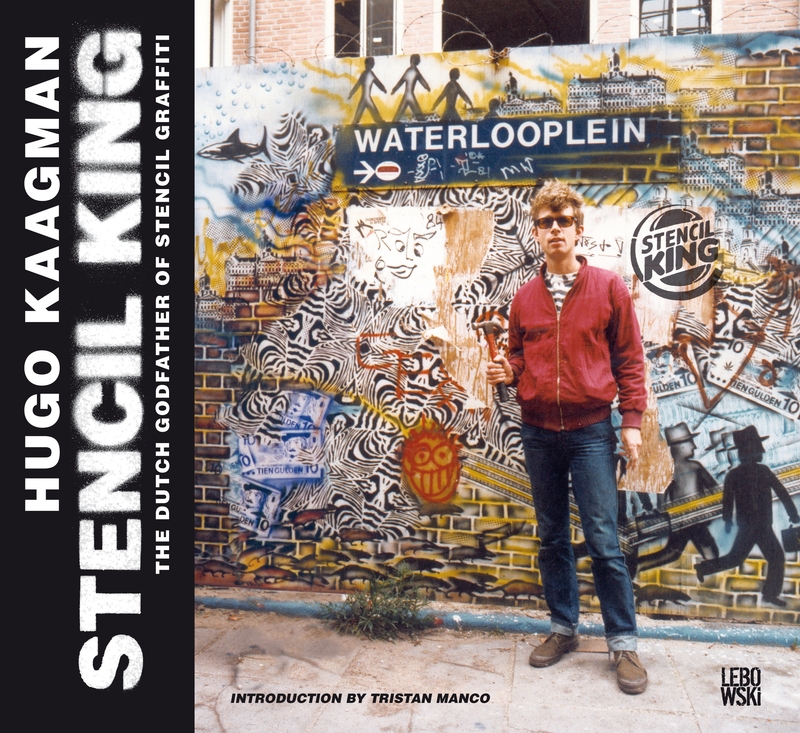 Hugo Kaagman is a true stencil pioneer, probably the first stencil artist in Europe (in the text below he states that he made his first stencil in 1978, meaning he had stencils out long before Blek le Rat got busy in France). In the USA, John Fekner allready put stencils out in the streets in 1976, but these were texts only, contextualizing the environment. Hugo has got it all: punk, reaggae, politics, geometric patterns, humor – and a great sense of colour. I have collected some of his early stencil works and had the pleasure of making a great book book with him: Stencil King, which was published in 2009 by Lebowski Publishers. I interviewed Hugo, asking him about his artistic roots, his love for Africa, for punk, for the do it yourself movement. I transcribed the interviews, and turned them into four 'prose poems', each dedicated to one of the decades he has been been active in: from the seventies up till 2010. I am still happy with the result; reading the texts now, six years after, they still evoke Hugo's mindset. 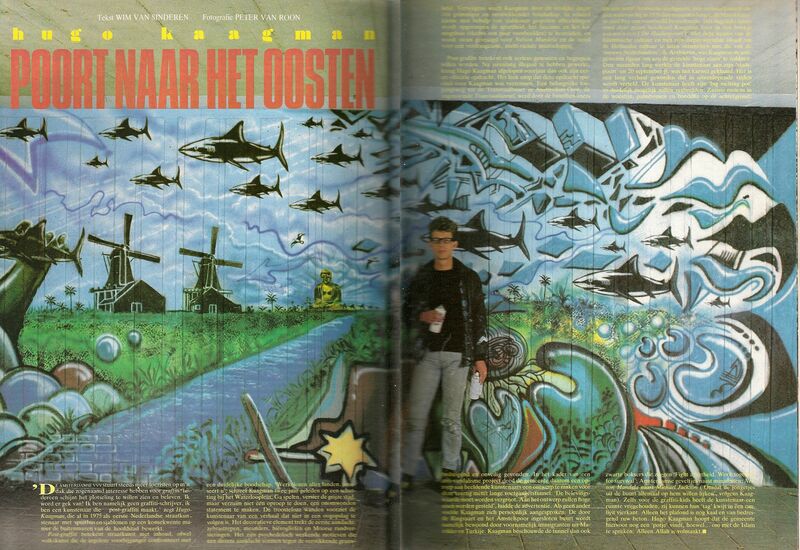 NINETIES ‘In 1990 I decided to explore the Netherlands, to study the Netherlands as an anthropological phenomenon, to take it in the way a foreigner would. I opted against shifting my focus to far-away places and instead decided to approach the Netherlands with an open mind, making a fresh start. I took the bus to the Keukenhof – the only Dutchman in the tour group. We stopped at a souvenir shop in Delft. That’s where the penny dropped: there must be a better way. Tripping in bed, a two-week bout of the flu, I was looking through a reference work on Chinese earthenware and I came across Delft blue, pieces from the Ming dynasty. So much more beautiful than the Dutch pieces. I set to work. At that time, this was looked at with utter disdain. In the Netherlands, you weren’t supposed to dive into your own culture, into common tastes, popular sentimental songs, Dutch blues; that was all a joke. I thought back to punk, because of its bipartite nature: either the world ends and you’ve rebelled against it, put up a fight, or the world keeps on turning and you’ve prepared yourself, you’ve turned your hobby into a career. I had to keep on working. The world had not ended. Babylon did not fall. It had taken a while, but it finally dawned on me: essentially, it’s about doing the right things at the right time. 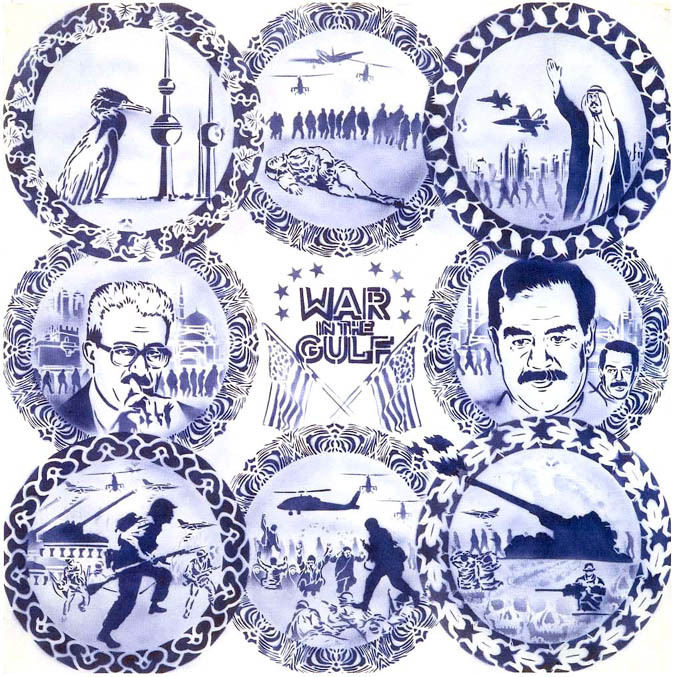 I discovered the world art behind Delft blue, that it traced back to Chinese porcelain. That it was popular in the Netherlands as early as 1600, and there was even such a thing as Chine de commande, that Western prints on porcelain were made to order in China, but that the Delft blue industry as such had vanished completely as little as two hundred years later. Delft blue has become my trademark. I personally brought Delft blue back to Asia in 1994, when I worked on Rob Scholte’s major project in Japan, Après nous le déluge. I painted the garden doors of the replica of the Huis ten Bosch palace in Nagasaki. The early nineties were horrible, jealousy reigned supreme. 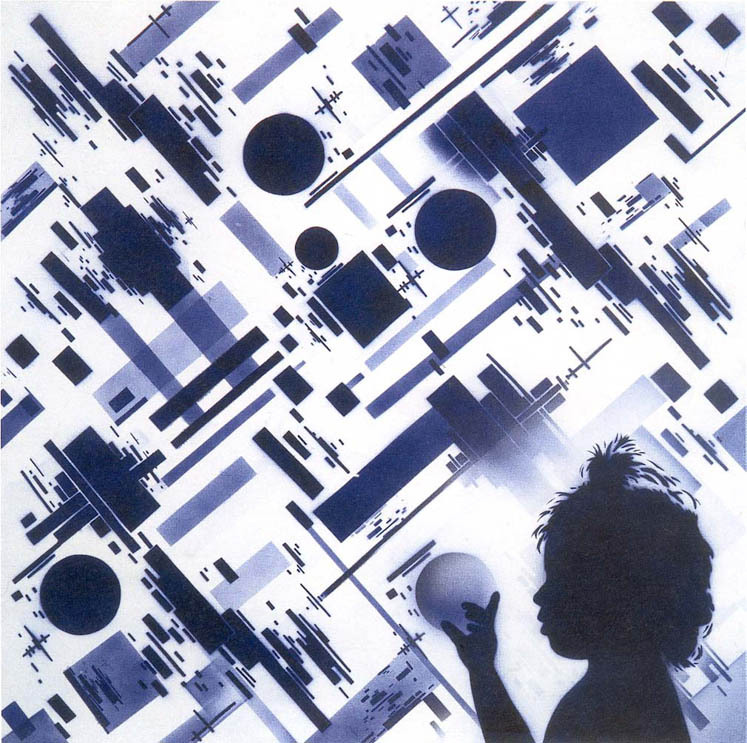 Nevertheless, there was the Netherart exhibition in New York in 1993, a group show with ten young Dutch artists, but it was in the midst of a financial crisis, and we sold nothing. To me personally it didn’t make much of a difference: the scenes ebbed away, and I became a solo artist. The train was moving and kept on doing so, and I created my own works, regardless of the general current, of the others, of popular taste. In 1996 British Airways commissioned me to decorate the tailfins of nineteen of their Boeings. The project was called World Tails, and it led me back to world music from the eighties.